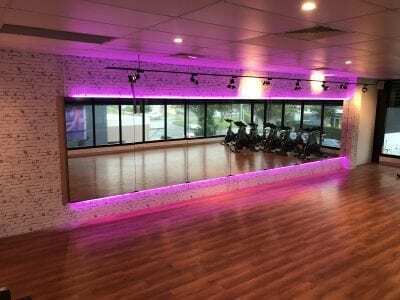 Looking for a commercial fit out in Brisbane? Are you in the market for a commercial fit out in Brisbane? Well, JEB Built has more than 10 years in the building and renovation industry and we have the experience, skills, resources and suppliers to give you a quality commercial fit out for your business. At JEB Built, we have a reputation for always completing on time and coming in within budget — two essential components of a successful commercial fit out. After all, you can’t afford any downtime in your business, so a timely fit out is essential. What’s included in your commercial fit out in Brisbane? We ensure that we have all the relevant plans and permits for your renovations before we start, and we coordinate with the appropriate government departments and agencies, to obtain any additional certifications that are required. We can help you to maximise the use of space, design your layout, source suppliers and perform all of the building works. Your commercial fit out includes painting, electrics, ceilings, lighting, plumbing and the installation of new walls or partitions. We can build meeting rooms, kitchens and bathrooms and even organise your IT cabling requirements, air conditioning, fire and security systems. At JEB Built, our extensive experience in commercial fit outs in Brisbane includes offices, retail shops, restaurants, coffee shops and professional suites. We work on both new builds and renovations and we will give you the commercial space that maximises your productivity, while being a pleasant environment for your staff, clients or customers. Consultation phase: This is the point when we meet to discuss your needs, help you to clarify your thoughts, discuss time frames and budgets, and provide you with a quote for your commercial fit out in Brisbane. Design and planning phase: At this stage of your commercial fit out, we finalise your plans and create the actual plans for your new fit out. Once you approve the plans, we will start construction. Construction phase: If you need to continue operating your business during construction, we will do our best to ensure that minimal disruptions occur, as we understand the problems of trying to run a business in a construction site. Completion phase: Once construction is completed, we walk through the spaces with you, making sure that everything is perfect. We will then handover your newly refurbished commercial space and you can get back to business. If you need a quality commercial fit out in Brisbane, don’t hesitate to call JEB Built on 0431 065 019 or complete our online enquiry form.